"Travel is like a work of art. It needs to be discovered one stroke at a time. When one does this a beautiful picture of our world shines through." I've traveled to Italy many times - experiencing that country as a tourist myself, and as a travel tour group leader - from east to west, and north to south. 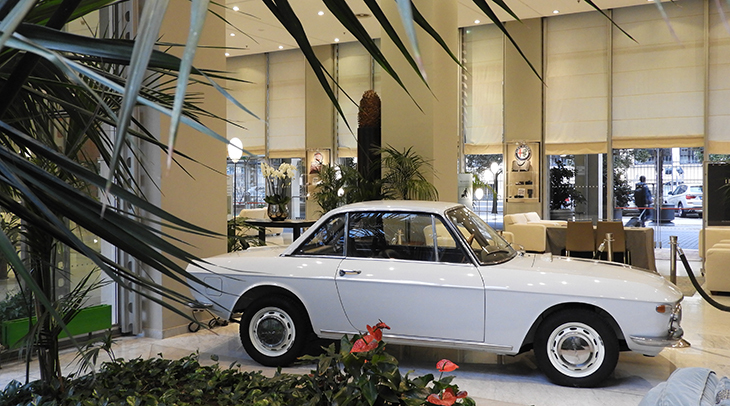 A favorite trip for many reasons, was a recent tour of Northern Italy and the Italian Rivera. After a smooth flight to Milan I connected with my tour group for a 2-hour transfer to our hotel in the city of Turin, also known as Torino. The city of Lucerne, Switzerland is only a 3 hour drive from Milan, and our drive to Turin took us very close to the Swiss Alps, a beautiful sight to behold. Long Flight Travel Tip: The best way to avoid jetlag on overnight flights is to stay up as long as possible on arrival; try not to head for bed until 9 PM, so that you are refreshed the next day. Once in Turin we went for a casual walk to explore the city (and prevent falling into bed too early). We discovered a popular store called Eataly (they seem to be located in several Italian cities) that offers an array of Italian food. You can eat at the cafe or purchase food such as fish, meat, pasta, cheese, and fruit to take home (or to your hotel) and prepare yourself. I highly recommend visiting an Eataly store if you're ever in Italy. There is so much history in Turin - it was the first capital of Italy (from 1861-1865), after which the capital moved to Florence, then Rome. Turin has museums, lots of shopping, and several palaces - make that palazzo's - that have housed Italian royalty. Naturally our stay in Turin included a walking tour of the town. One building that stood out was the Lingotto, once the home of the Fiat Car Factory. Construction of the Fiat car in this factory would start on the ground floor, and then work it's way up five floors, emerging on the rooftop of the factory where the completed car had a test drive. Today the Lingotto has been renovated and houses a shopping mall, concert hall, theatre, convention centre - and the hotel we stayed at! The next day we continued on to the town of Barolo in the hilly Piedmont Region, which is famous for it's cheese, truffles and wines. 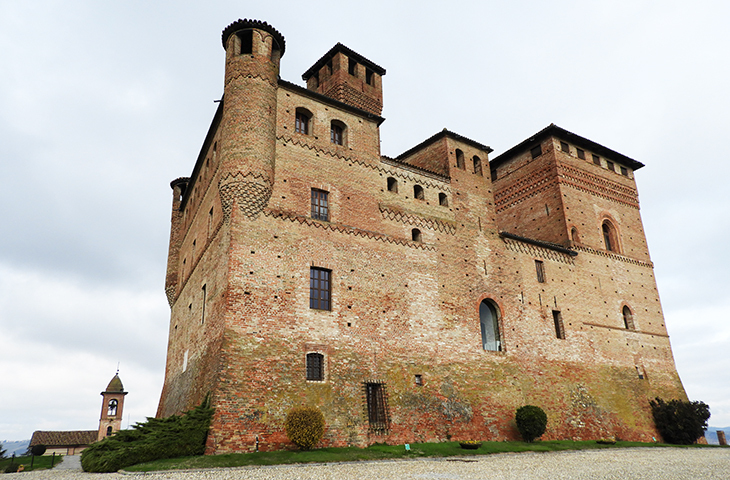 We toured the UNESCO recognized Castle of Grinzane Cavour, which overlooks vineyards and dates back to around 1350. Currently the castle is home to an ethnological museum, with furnishings from the 19th century, including wine making production equipment. Along with an on-site wine store featuring unique wines from the region, there is also a 5 star Michelin rated restaurant at the castle. Being in the Barolo wine region also meant a wine tour of the 200+ year-old Marchesi di Barolo Winery. 10 of the original huge winery barrels are still in use today, and each barrel holds enough wine to fill 24,000 bottles of wine. With 240,000 bottles of wine from the big barrels, plus all the other smaller barrels they have - that's a lot of good wine! Of course we couldn't have a wine tour without lunch afterwards at the same winery. 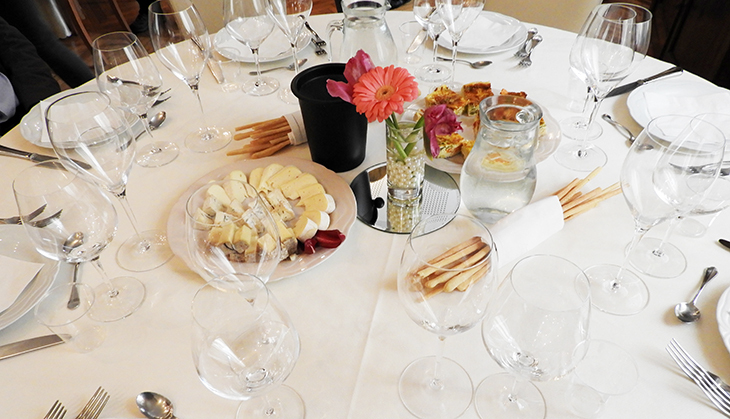 Our light lunch consisted of a variety of cheese, wine infused risotto, frittata, breadsticks, and of course, wine. At the end of the day we arrived in the town of Rapallo, part of the Italian Riviera. Most people recognize the French Riviera by name and don't realize there is also an Italian counterpart. Although there's no official boundary, the French Riviera begins at Cassis (near Marseille) and ends at the Italian border. From there the Italian Riviera extends to the area of La Spezia, close to the border of Tuscany. 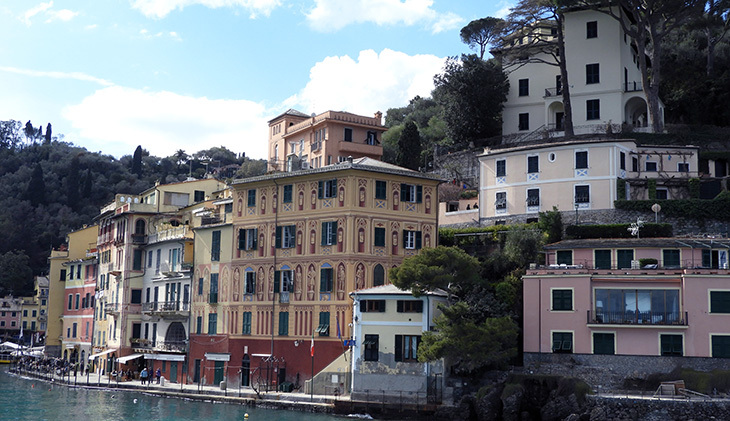 We took a leisurely walk around Rapallo to see the old buildings and rest for a while by the sea. There's something about looking out into the sea and watching people, boats, birds, and waves - the sights and sounds are good for the soul. The French Riveria area we were staying in is made up of several bays and towns. You can walk to them all in a few hours, or you can get on and off boats that go into each bay area. 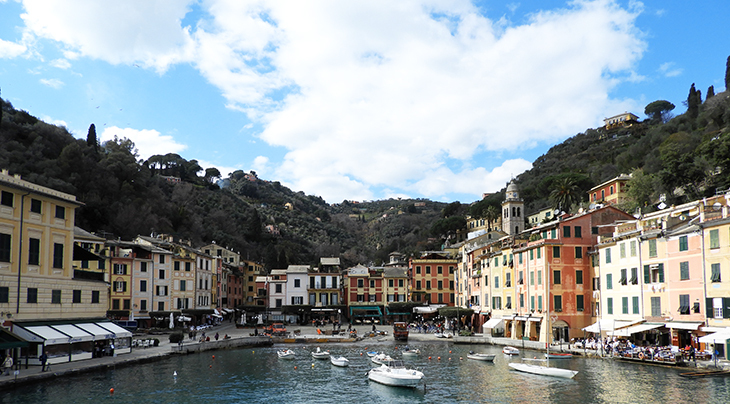 In the afternoon we boarded a boat and headed over to the area of Portofino for a few hours. Portofino is a small, quaint, picturesque town - a great place to wander around the unique shops, have a gelato, and spend some more time sitting and gazing out at the sea, watching time go by. On our way back to the hotel in Rapallo, we found a great restaurant with amazing service. Nothing like steak, salad, pasta, and calamari to finish off our time in Rapallo. An amazing sunset topped off the evening. The following day we traveled to Bologna. You can't leave Italy without a Parmigiano Reggiano demonstration. Here, we saw this wonderful cheese being made from start to finish - ready to eat! Of course we bought some to bring home. Our granddaughter is in love with it and wants me to go back to Italy to get some more, as we're almost out. Okay! If you insist! 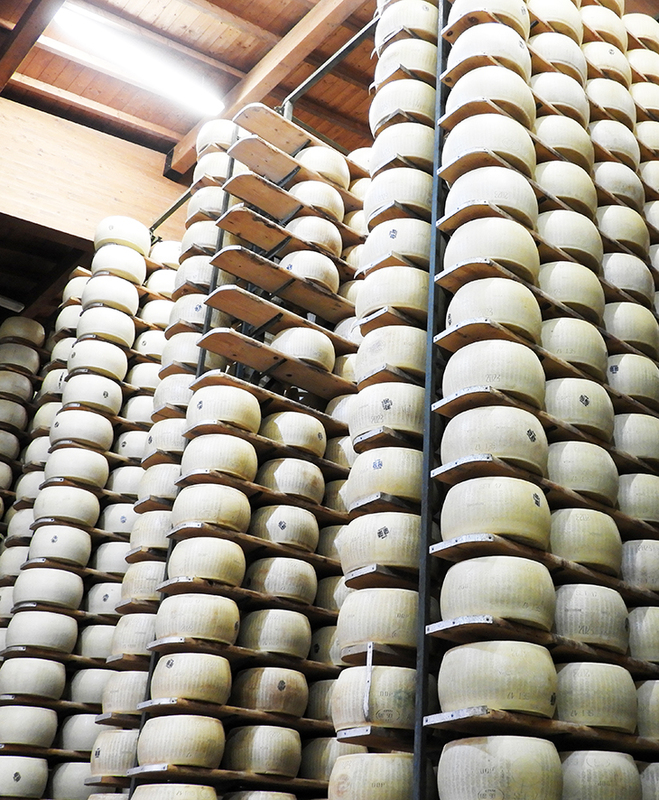 Parmigiano Reggiano is only made in this region. In Canada & the United States, we call it Parmesan - in Italy they told us that's an "imitation" of the real cheese, Parmigiano Reggiano. It's known as the "King of Cheeses" there. I have to agree, as it is one of the best "parmesan" cheeses I've tasted. Our scenic tour that day included a stop for a real treat - a tasting of traditional Balsamic Vinegar of Modena, and lunch. Lunch consisted of cheeses, meats, frittata's, breads, dessert, wine, and of course, balsamic vinegar. This isn't your ordinary balsamic vinegar found in North American retail stores. 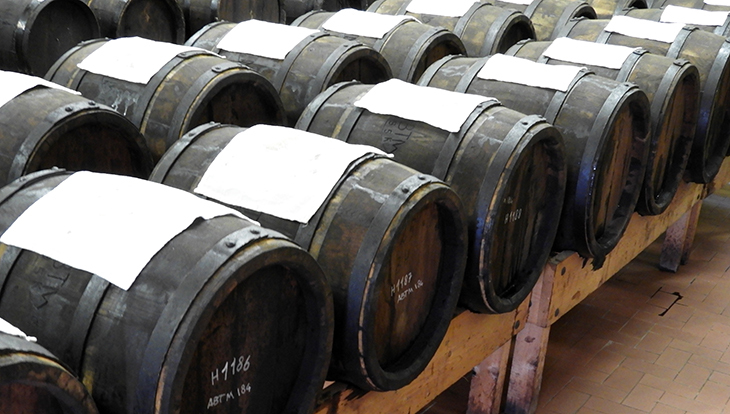 This Balsamic Vinegar of Modena is made by a small family business. They age it for up to 25 years, which makes a smooth "liquid gold" that is thick and sweet. The barrels they use have been used for generations of their family. We spent a day walking around Bologna. It's rich in history, shopping and cafes. A favourite building in Bologna was the Library of the Archiginnasio, which dates back to the 16th century. It houses over 850,000 volumes - and so much more, including some 16th century editions. There are over 6,000 Coats of Arms, either painted or hanging on the library halls. 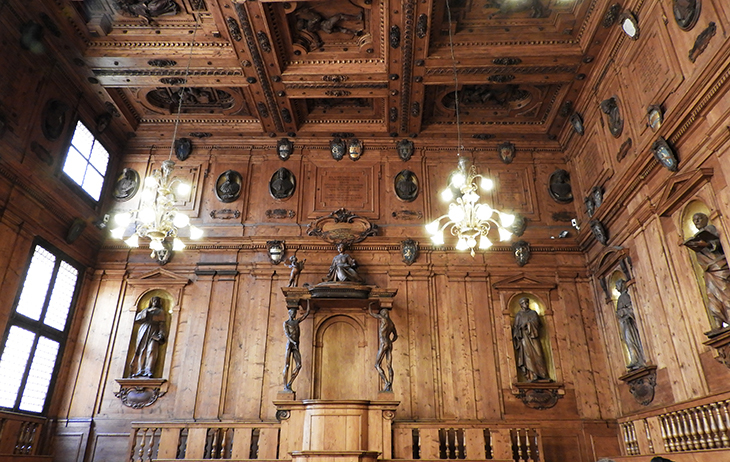 Built in 1637, the Anatomical Theatre room of the Library is made from fir wood and shaped like an amphitheatre. Sculptures of doctors from ancient and modern times are placed around the walls. This room was used for anatomy lectures and displays where the body of the deceased was laid on the table in the center of the room, while the doctor or professor taught the students. 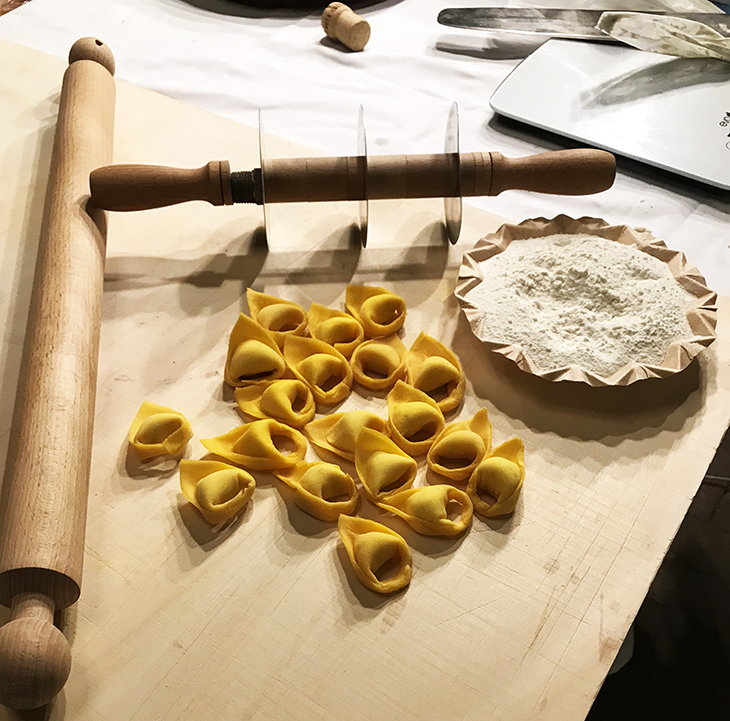 Knowing that Bologna is called the Culinary Capital of Italy, we had to experience a pasta-making class first hand. Our tour group had an awesome time learning the art of pasta making. We made a meat sauce that was added to the long noodles we'd already made, as well as cheese stuffed tortellini. The best part was being able to eat our masterpieces, along with a glass of fantastic wine. 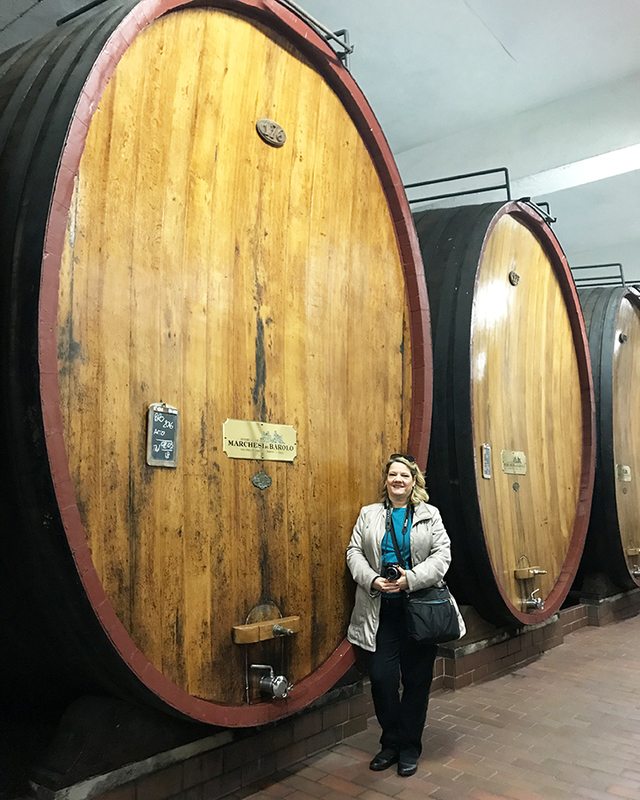 Our amazing trip to Northern Italy continued by way of Valpolicella and an Amarone Wine tasting experience that was a highlight, before ending in the city of Verona. We spent a full day walking and exploring this historical city. Verona is home to two of Shakespeare's plays - The Two Gentlemen of Verona, and Romeo and Juliet - and the balcony where Romeo promised Juliet eternal love in that famous tragedy. 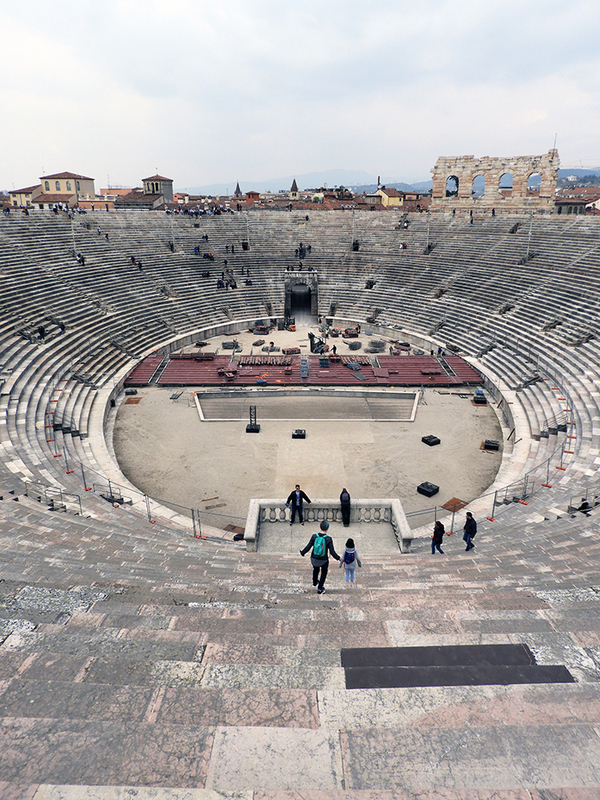 Verona, Italy is also home to the Arena di Verona, which is a Roman Ampitheatre that was built in the first century. It's older than the one in Rome, and is still used today for opera performances. 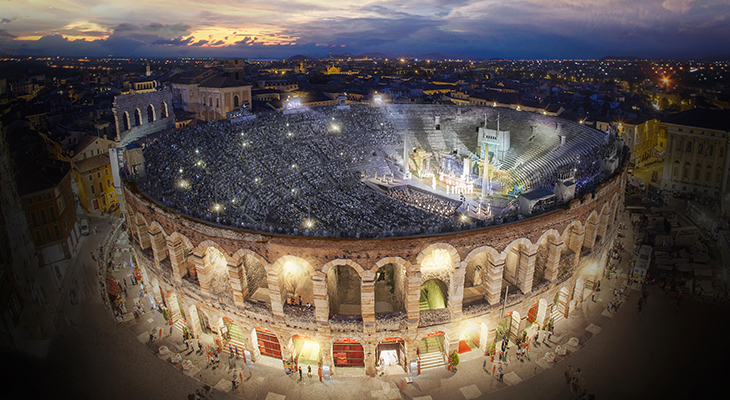 If you plan on going to Verona between June-September, you may be able to take in an opera at this breathtaking venue - check their website for tickets in advance. See the photo at the top of the page (more photos on their website) to get a feeling for what an experience like that would be like. In ancient times it held 30,000 spectators. Many buildings in Verona, including this ampitheatre, are in impeccable condition for their age - 2,000 years old! I went into this trip without really researching the cities that our group would be visiting - highly unusual! Typically my travel consultants and I do a lot of research before arranging a group tour, but in this instance I wanted to have Italy speak to all of us, and have some surprise discoveries along the route. Having no pre-set expectations allowed my tour group and I to experience the cities, people and culture of this unique region in a new way. Sandra Swash is an accredited travel agent with expertise in both individual and escorted group tours. She has a knack for planning worry-free, unique vacations for singles, honeymooners, families, and mature travelers.